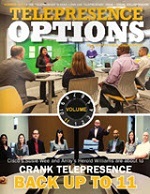 Eatontown, NJ (June 6, 2013) -�Yorktel�(@Yorktelcorp), the worldwide leader in video managed services, today reported on the success of its yearlong marketing program implemented by Samantha Osowski, hired last year to lead the Company's branding, communications and marketing. �As Director of Marketing, Samantha is charged with all aspects of program development, execution and management. "The global communications landscape is shifting; enterprises now readily embrace advanced technologies and services as part of their core operations," said Yorktel President and COO, David Phillips. "Yorktel's business has evolved from that of a systems integrator to a global video managed services provider, and our brand must reflect this growth and our unique ability to provide best-in-class solutions," added Mr. Phillips. "Samantha brings exceptional creativity to Yorktel and has the experience to ensure that our marketing is tailored to what organizations need both today and in years to come. We are confident that her efforts will continue to solidify Yorktel's brand as the leading worldwide video managed services provider, and make VideoCloud� a household name for�video conferencing-as-a-service." In 16 months on the job, Samantha has launched Yorktel's first ever truly integrated marketing program, leveraging content marketing, social media, public relations and (traditional and new media) advertising. Global recognition of Yorktel as an industry innovator and thought leader has increased immensely through myriad levels of exposure at leading conferences, consistent earned media placements in business, trade, and broadcast outlets, and notoriety from industry analysts - all of which is coordinated with targeted webinars, community building and lead-generation campaigns. "Furthermore, following the 2012 acquisition of First Connections, there is still unlimited opportunity for multinational brand growth." Yorktel enables a cohesive user experience connecting innovative video solutions and unified communications platforms that tie meeting rooms, desktops and mobile clients together in a singe environment.� Professional services, management and support expertise, coupled with proven best practices and cutting-edge technology, are the cornerstones of Yorktel's award-winning approach to video managed services, and how Yorktel makes video work for its�Fortune�1000 enterprises and Government customers in 84 countries around the world. Yorktel Video Managed Services,�VideoCloud� solutions and Managed Media Services portfolio offer myriad resources that are swiftly deployed, customizable and can scale as needed. Customer rollouts eliminate CAPEX, contain OPEX, while enhancing capabilities that encourage collaboration and increase operational efficiency. Prior to joining Yorktel, Samantha served as Product Marketing Manager for Panasonic where she was responsible for developing channel and end-user marketing programs for six product categories. Her team successfully launched two new product categories for Panasonic, and also integrated marketing plans of related categories during her division's merger, resulting in a comprehensive approach for Panasonic to increase vertical market sales. Yorktel is a leading global provider of video managed services for large enterprise and federal government customers. Founded in 1985 and headquartered in New Jersey, with offices across the US and in the UK, Yorktel enables customers to successful integrate video into their operations - from video conferencing to streaming, video event production to digital signage. 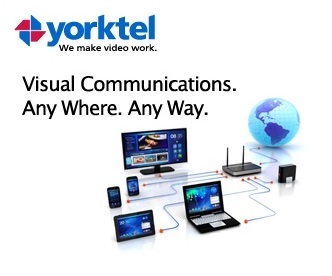 Yorktel designs, integrates and manages enterprise-wide video communications solutions. 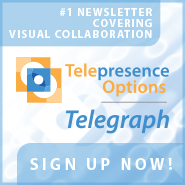 \"The global communications landscape is shifting; enterprises now readily embrace advanced technologies and services as part of their core operations,\" said Yorktel President and COO, David Phillips. \"Yorktel's business has evolved from that of a systems integrator to a global video managed services provider, and our brand must reflect this growth and our unique ability to provide best-in-class solutions,\" added Mr. Phillips. \"Samantha brings exceptional creativity to Yorktel and has the experience to ensure that our marketing is tailored to what organizations need both today and in years to come. We are confident that her efforts will continue to solidify Yorktel's brand as the leading worldwide video managed services provider, and make VideoCloud� a household name for�video conferencing-as-a-service.\"
\"Furthermore, following the 2012 acquisition of First Connections, there is still unlimited opportunity for multinational brand growth.\"